RCB's batsman Virat Kohli celebrates his fifty during IPL T20 2019 cricket match between Royal Challengers Bangalore and Kings XI Punjab at I S Bindra Stadium in Mohali, Saturday, April 13, 2019. 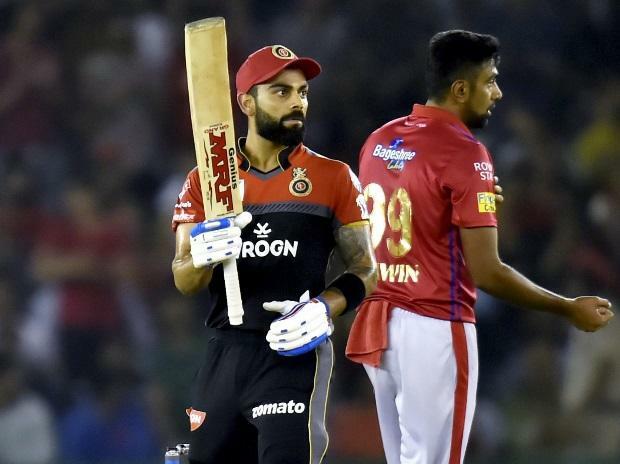 IPL 2019 RCB vs DC Preview: Can Virat Kohli's RCB fix its Achilles heel? Royal Challengers Bangalore (RCB) skipper Virat Kohli has been fined for slow over-rate in the team's Saturday match against Kings XI Punjab in the ongoing edition of the Indian Premier League (IPL).